Our interest in the simple but satisfying art of whittling has never been higher. 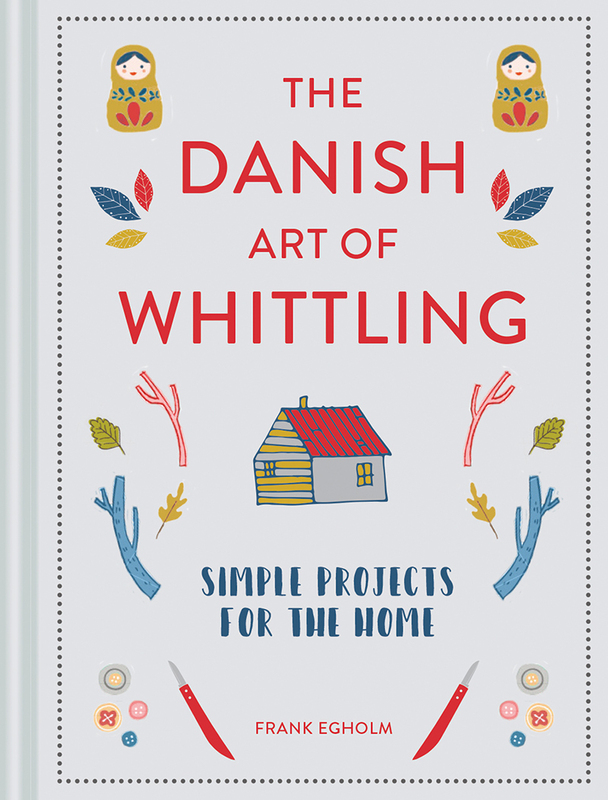 This Danish-inspired book on whittling - snitte - has a range of wonderful simple whittling projects for the home (hjem in Danish). The beautiful Scandinavian projects range from simple wooden toys for children, including a bird whistle, ring catcher, animal figures and a wooden sword to practical items like door hooks, butter knives and then to decorative pieces such as a wooden necklace, buttons, delicate carved flowers and a chess set. All the projects are amazingly simple, and with the visual step by step technique section at the front of the book, even a beginner could take on these projects. The art of whittling has never been more accessible and these beautiful but simple projects capture the spirit of the Scandinavian love of craft and nature. Author and Danish craftsman Frank Egholm shares not only his considerable knowledge but also his passion for simple wooden carving.